A room, but which view? 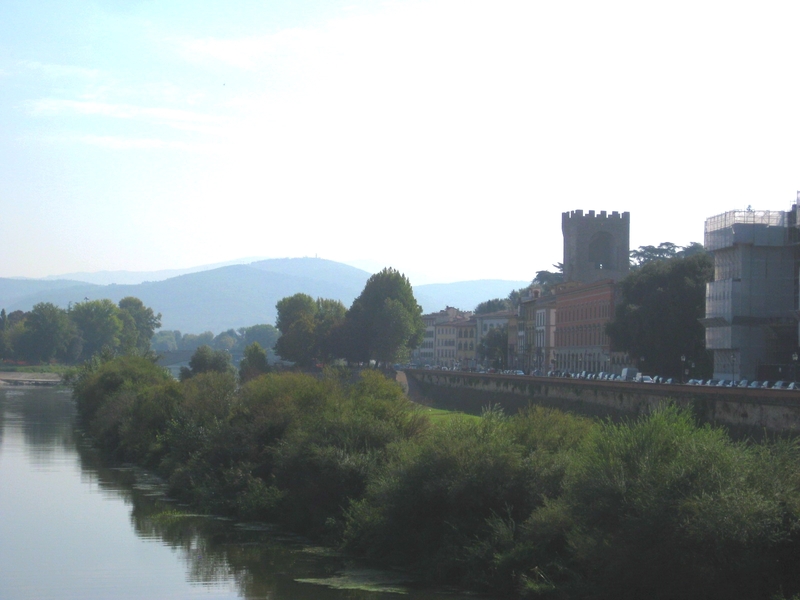 In the 1985 and 2007 film versions based on E.M. Forster’s lovely novel ‘A room with a view’ the titular view is from the Oltrarno side of the river. The first paragraph of the novel, however, states that Lucy Honeychurch (what a name!) and her cousin Miss Bartlett were promised ‘south rooms with a view’. Might Forster have been invoking a view closer to this? 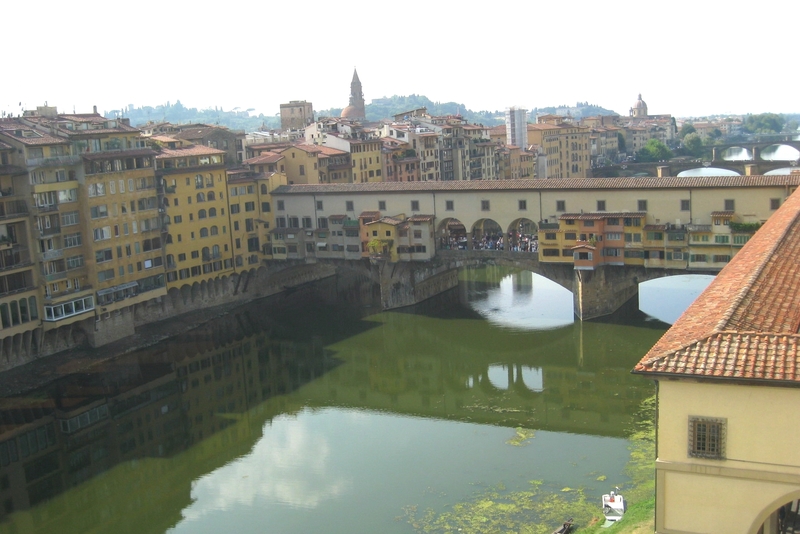 Forster modeled the Pensione Bertolini on the Pensione Simi at 2 Lungarno delle Grazie*, which is indeed on the north side of the Arno, and just around the corner from Santa Croce, Lucy’s first stop in Florence. The photo below, taken from Ponte alle Grazie, offers a view from nearby to where the Pensione Simi once stood. The last time I was in Florence my view was what Miss Lavish might call that of “the true Italy”, or what Miss Bartlett might call”a failure”. But in Florence, pretty much any view will do for me. *According to ‘Florence and Tuscany: a literary guide for travellers’ by Ted Jones. This site is a great resource on the film locations for Merchant Ivory’s ‘A room with a view’ adaptation. 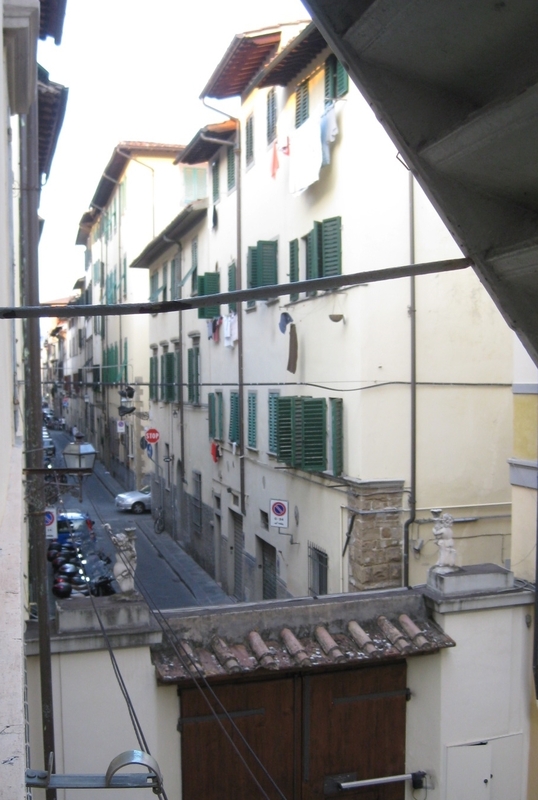 While the views aren’t spectacular, I’d recommend Home in Florence, a B&B, to anyone going to Florence. 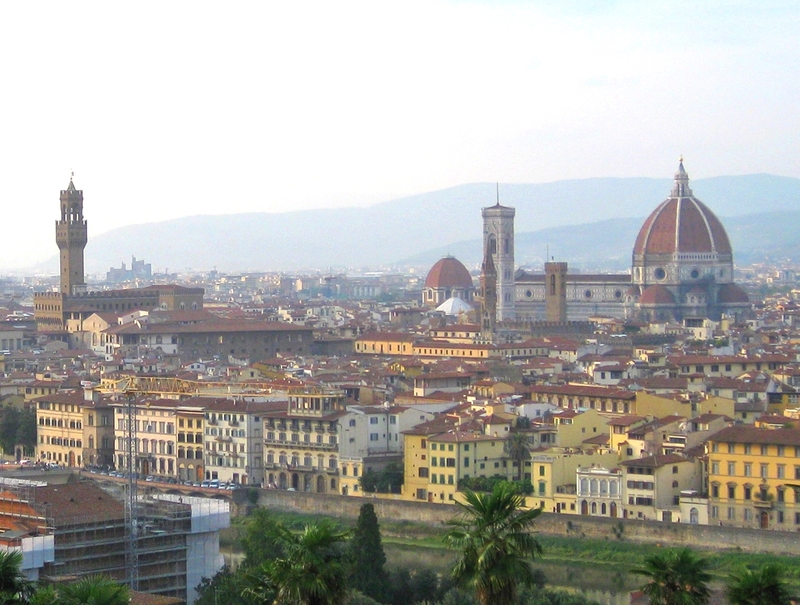 It’s in the Oltrarno area, just a few steps from the Boboli and lots of great restaurants. The proprietors were always helpful, our room was spacious, and the breakfast room was open all day, so you could always pop in for a snack or espresso.